By now, I am sure you may have heard about Air Car. We had covered Tata Motors backed air car couple of years back. People have been quite interested in this clean, green air car, but it has yet to see the light of the day. Now, I doubt whether it was for real or just a rumour ! Now, two Indian Engineers Bharat Raj Singh and Onkar Singh who are researchers at SMS institute of Technology, Lucknow have conceptually presented designed a new, cleaner motorcycle engine (or any other light vehicle engine) that uses compressed air to turn a small air turbine, generating enough power to run the vehicle for up to 40 minutes. The use of compressed air for running prime mover such as air turbine offers a potential solution to these issues as it does not involve combustion in producing shaft work. The great advantages such as availability of air as fuel and the absence of emissions are also apparent from air motors. Compressed air driven prime movers are also found to be cost effective compared to fossil fuel driven engines. Such prime movers have perennial compressed air requirement, which needs some source of energy for running the compressor. The overall analysis shows that the compressed air system is quite attractive option for light vehicle applications. Simply put, the paper puts forth a design that can be combined with a compressed air cylinder as a replacement for traditional internal combustion engines. In areas where motorcycles are a major source of public transportation, such a technology can drastically cut emissions if implemented appropriately. To be honest with you, I am a bit skeptical of compressed air to be used in any kind of vehicle. I had read extensively about Air Car, infact, also had seen few videos of an Air car in action, but nothing really has transpired (There have been talks of even water car). As far as this goes, it is still at conceptual stage – It will probably take years, if not decades to come in reality. The main impediment off-course is, all of them are based on compressed air, and if you need to compress air, you will off-course need to have some source of energy to do it ! 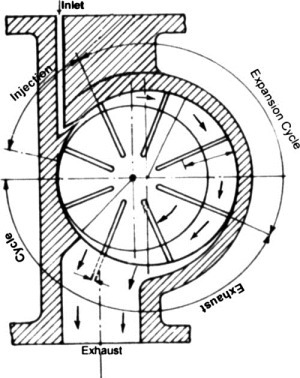 i need advice on how to design the conversion chamber, and if it is possible to increase the kinetic energy of the compressed air by adding chemicals that can cause exothermic reactions? hello sir I just wanted to make an bike like this please send some details and advise. hello sir can iused your tecnology in my bike than what will be the money u take pls send detail on my email [email protected]. I want to make a model of this concept(working).if possible please send me details and some tips to make it happen. I know mr. b.r singh and he will turn it in reality. But the energy required to compress the air is drowback. Thanks for the query. My email id is [email protected] and you can contact me. You can also see more details at my website brsinghindia. nice thing but I want to know whole details on this topic so please send it on my email id which is [email protected]. You really shouldn’t consider this an impediment – it is of course applicable to any form of transport, the energy must come from somewhere. If you accept that we can’t continue depending upon vehicles running on oil derivatives then compressed air powered engines should be seen as a viable alternative. At present the environmental impact of making and then recycling batteries for electric cars makes compressed air a much better option. Well nice thing but india will have to spend alot of their time in research on this to make it a perfect motorcycle. I did go through the website of concept cars and noticed that those people have been struggling since such a long time to get the compressed Air Car on road. Nice concept. I can assure you that the air cars are real and they work! Not in India though, but in France. also KLM, the Dutch airline is using a few. They are cheap, safe, and clean. Have a look at my site http://www.aircars.tk to see the models, see videos and the latest news. They will be sold by the turning of the year. Not sure how this would work. Will it require some preliminary work to be done, like the the batteries that need to be charged in the electric powered vehicles? An Air car / Air bike uses compressed air to give it drive. A cylinder of compressed air is fitted to the vehicle. The release of compressed air to the drive cranks up the shaft which is connected to the wheels. As the air pressure drops after certain distance, you have to refill the cylinder. Actually the technology suits India with its crowded roads do not allow any vehicle to drive fast. An Air vehicle can not go fast so it suits India perfectly. Also as the air is coming out of the outlet, it wont pollute the dense cities. i’m also working on this project of CAE would u like to enlighten me. i wantr to know about ur project.